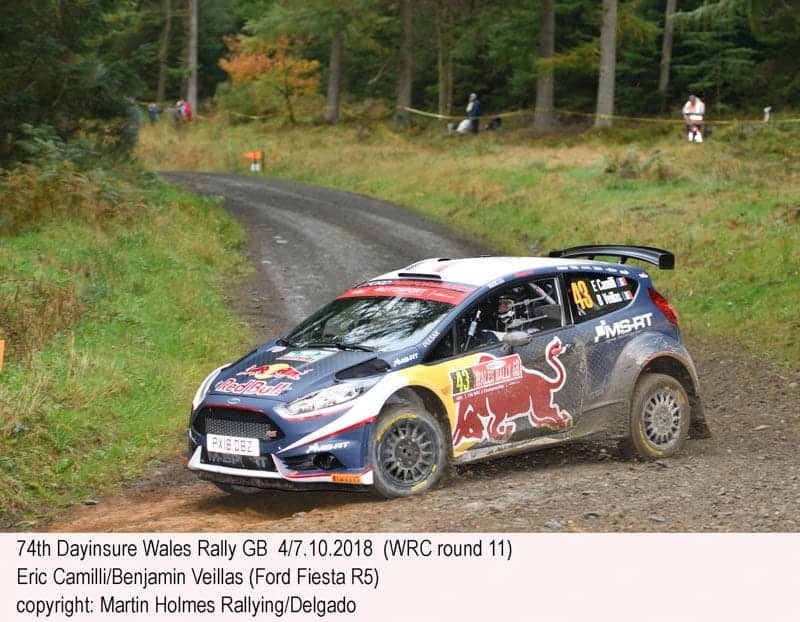 The three-way battle for the World Rally Drivers championship between Sebastien Ogier, Thierry Neuville and Ott Tanak continued in full force at the Wales Rally GB. In a car repaired after his crash in Shakedown, Tanak led convincingly until the Saturday afternoon when his car stopped with a broken radiator. This opened up a fight for victory between Ogier and Jari-Matti Latvala. Neuville lost time when he slid off the road, Ogier had gearbox trouble on the first full day, but fought back from eighth place – 10 stages later he was in the lead. 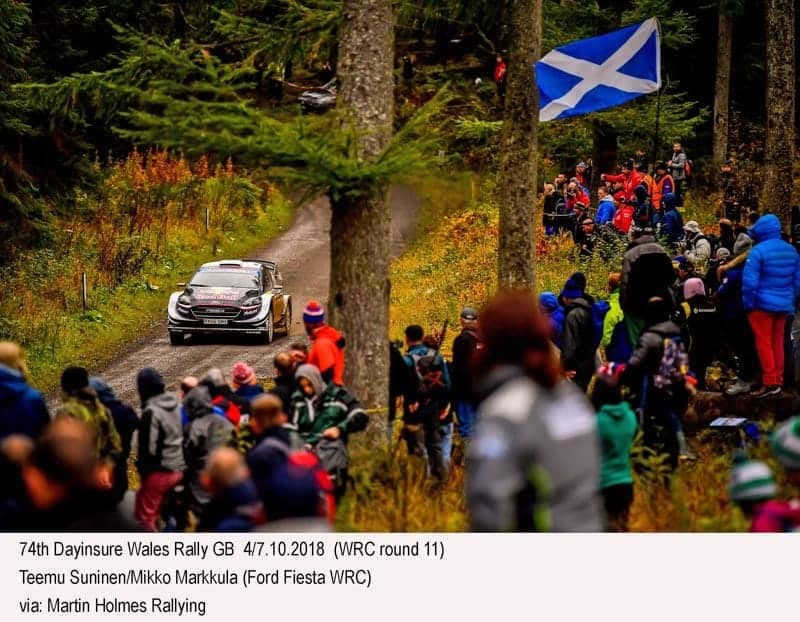 His performance heartened the M-Sport team who were disappointed by Ogier’s planned move to Citroen, then on the event by misfiring trouble for Elfyn Evans and retirement for Teemu Suninen. WRC2 was impressively dominated by Kalle Rovanpra, who celebrated his 18th birthday three days before the start. He convincingly beat fellow Skoda driver Pontus Tidemand, whose hopes of retaining the title are now largely dashed. Sometimes a driver does not deserve to lose, but once this rally began Ott Tanak, unbeaten on the last three WRC events, did nothing wrong, but his sumpguard to be wrenched off his Toyota Yaris WRC and his radiator was damaged. Until then the only time he was not leading was at the night time super special on the Thursday evening, when his teammate Esapekka Lappi was quickest. At midday Friday he was 8.9 seconds ahead, by Friday night he was almost a half minute in front. 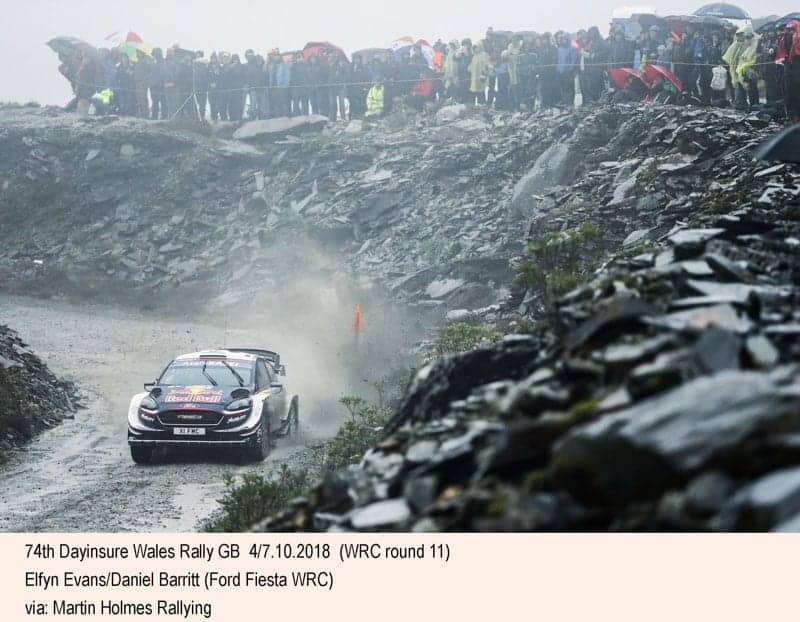 Behind him had been Sebastien Ogier, Elfyn Evans, Jari-Matti Latvala and Thierry Neuville, who took turns holding second place. Tanak’s first challenger to drop back was Ogier who had a gearbox problem, rumoured to have been damaged when he slid wide at a junction. Then Evans had an injector problem and missed stages, while Latvala was slowed by understeer problems on the prevailingly greasy surfaces. 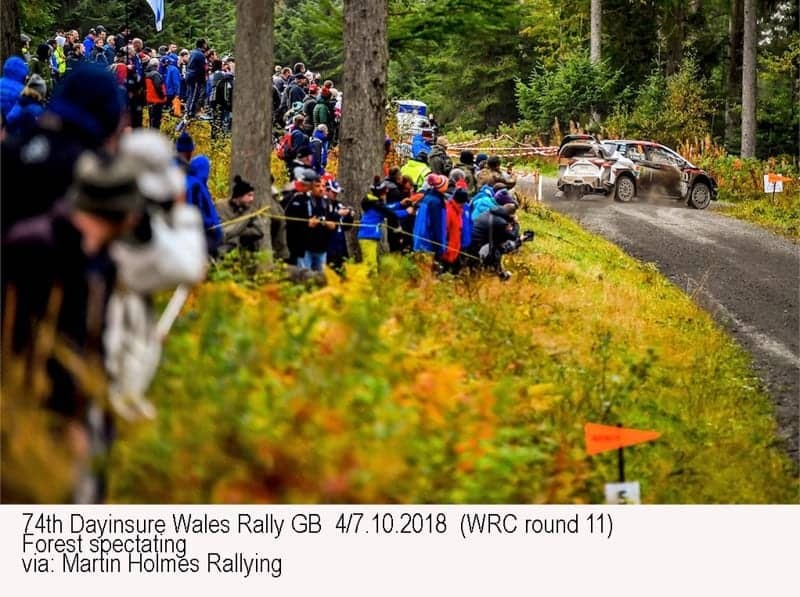 Tanak’s lead over Ogier increased on Saturday morning when Neuville went off the road, costing him around 50 seconds and dropping him down to eighth. In mid afternoon Saturday, however, the Tanak magic let him down and the Toyota had to be parked up beside the stage. Ogier was ahead, but not by much as Latvala was only 5.5 seconds behind! It was now game-on to the finish, eight stages away. 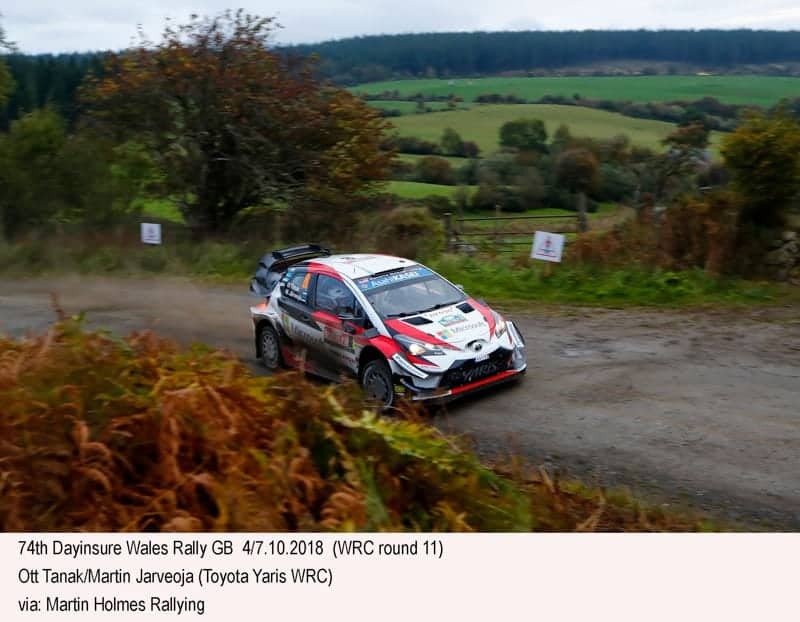 And almost as importantly, five stages away was the chance of earning PowerStage supplemental Drivers points, which also attracted serious interest from Tanak, who had meanwhile returned to the competition, Neuville and Lappi. The five points supplement went to Latvala. In the closing stages the battle for the lead was intense, teams seeking to understand the changing conditions and the way they favoured either the medium or the softer compounds, with indecisions solved by mixing and matching the compounds around the car. As the rally drew close to the finish the battle with Latvala was unresolved and Ogier pulled out all his hidden resources and demoralised the Finn to gain victory by mind games. Tanak’s speed had earlier dazzled his Toyota teammates as much as M-Sport driver Ogier. Now it was Ogier’s turn to show why he was such a formidable driver. 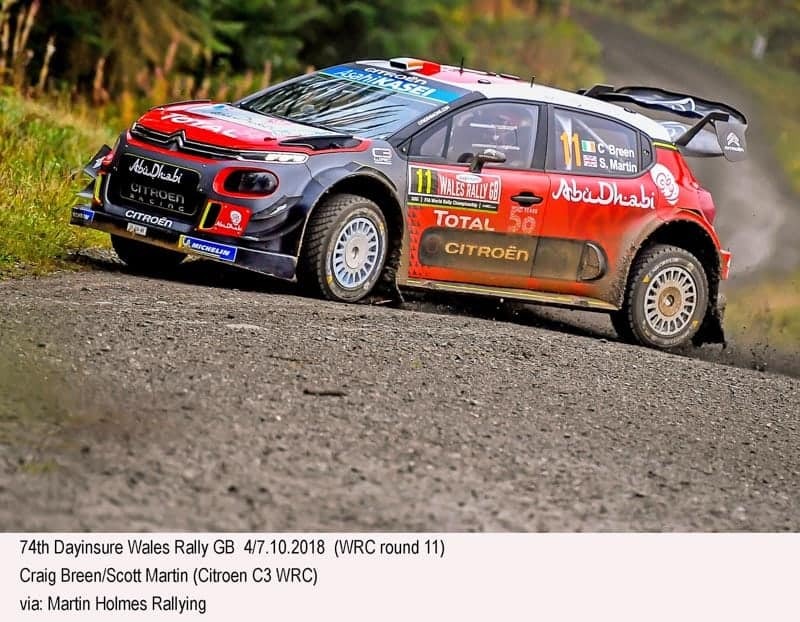 Citroen completely struggled to match the pace of their opponents, with Mads Ostberg’s one stage win their only success. Both Ostberg and Craig Breen lost time with spins and eventually a wrong set-up change of no great apparent significance actually dropped Ostberg three places. This elevated all three Hyundais on the final morning, in which Neuville was the highest place. No results manipulation became necessary to help Neuville’s championship chances. Breen’s fourth place was especially unconvincing when aligned to the news that Ogier would drive one of these cars next year. 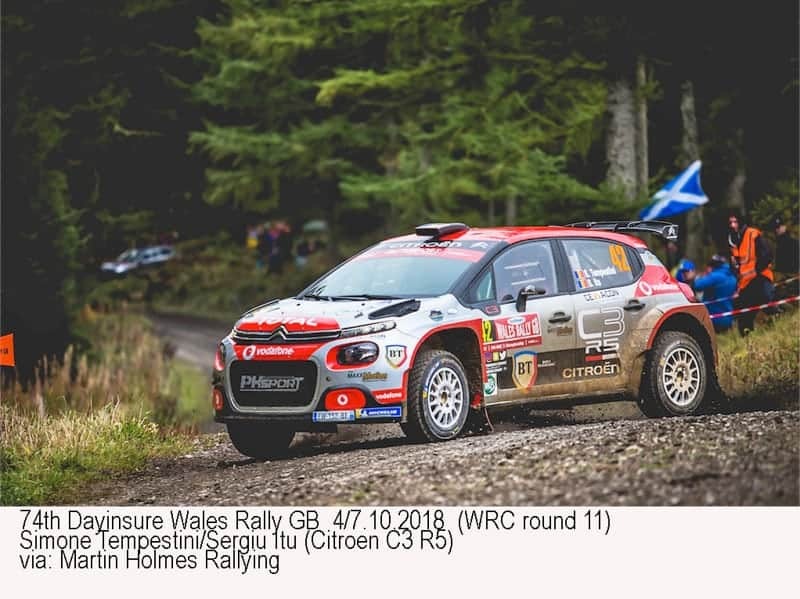 This was the last occasion in which Rally GB was contracted to be supported by the Welsh government and led to a year long endeavour to make the event live up to its traditions. It was based for two days in the north and one day to the centre of the Principality. Each region offered stages of different character. 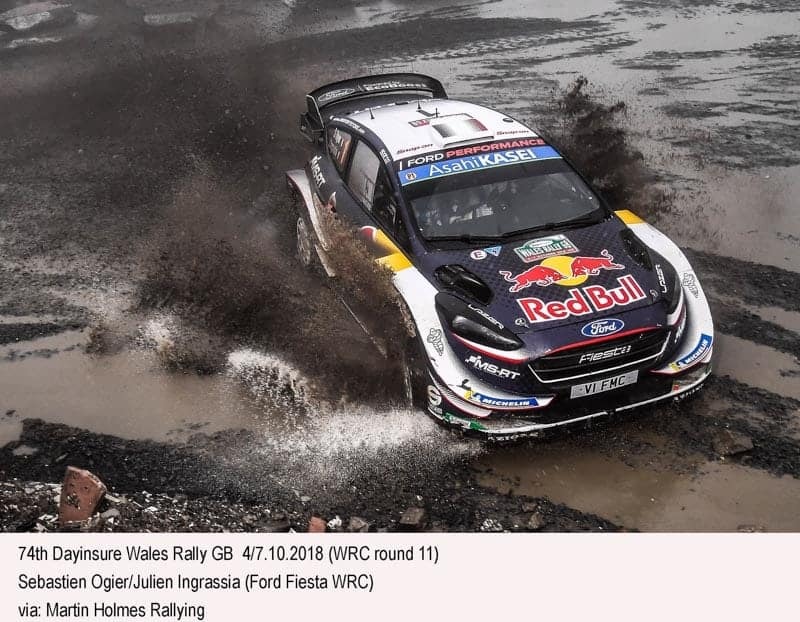 The event finished at the northern coastal town of Llandudno, famous for its adjacent asphalt stage round the spectacular adjacent Great Orme promontory, and created a distinct change in the style of the event. The recent national legislation permitting closure of pubic roads for rallying was cautiously applied. 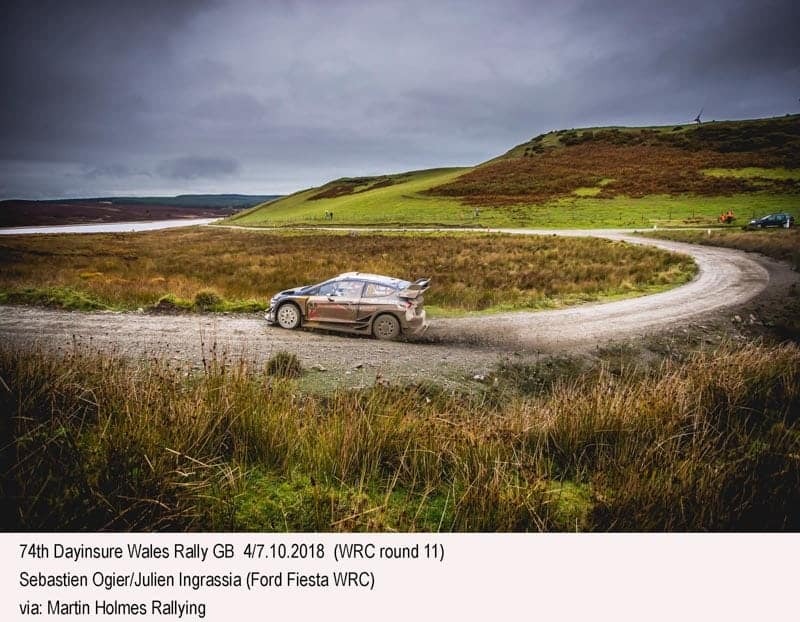 This year the rally was held very early in October, but wet and slippery roads presented the traditional Rally GB challenge, while the distinct drop in temperature on the final day supplied the typical colder temperatures. The battle for the WRC2 title continued. 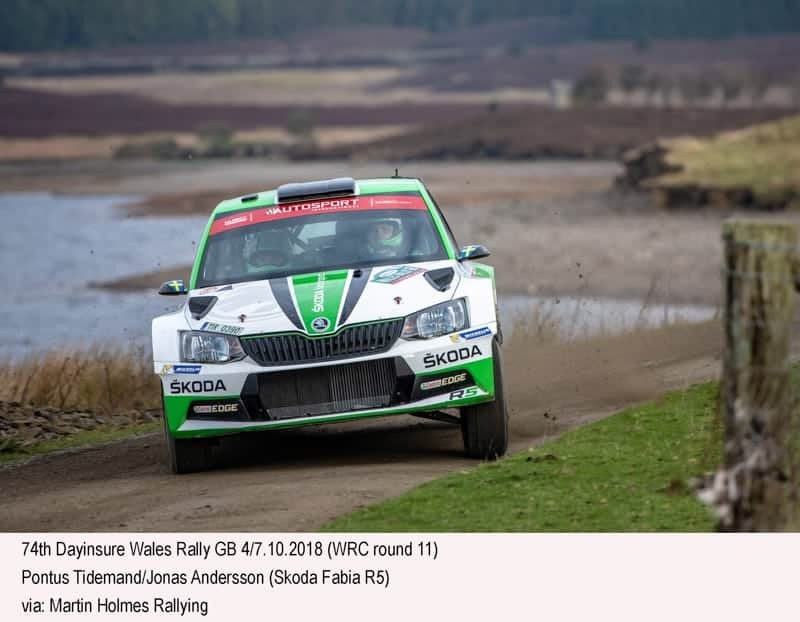 Skoda Motorsport pursued their equal opportunities policy for their designed championship contender drivers, entering Pontus Tidemand, while leaving Jan Kopecky at home. This time they also entered their young trainee driver Kalle Rovanpera, whose performance was quite extraordinary. It was the second time he had won the WRC2 category and the second time he had scored top 10 overall Drivers’ championship points. Third placed R5 car was the Fiesta driver Gus Greensmith (the highest British driver to finish), ahead of Hyundai driver Jari Huttonen. 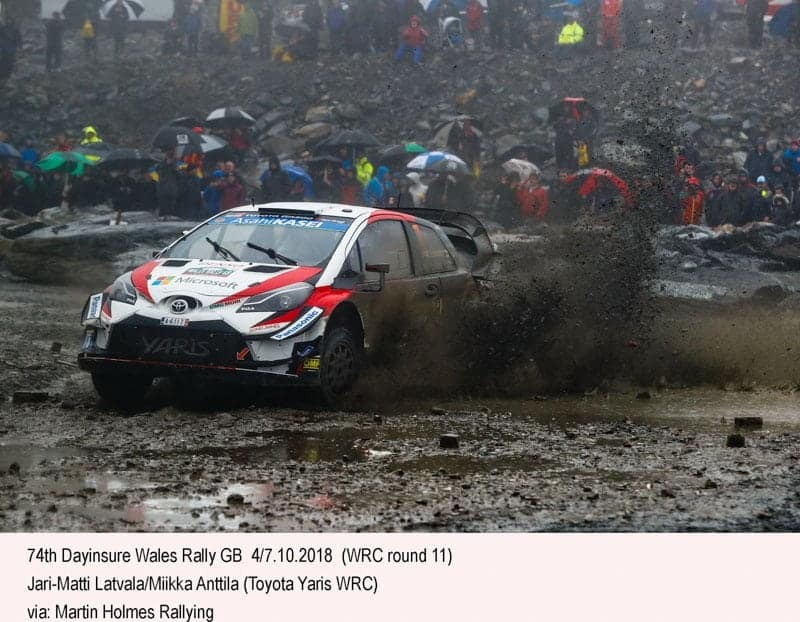 Wales Rally GB ran a two-part round of the British national championship. 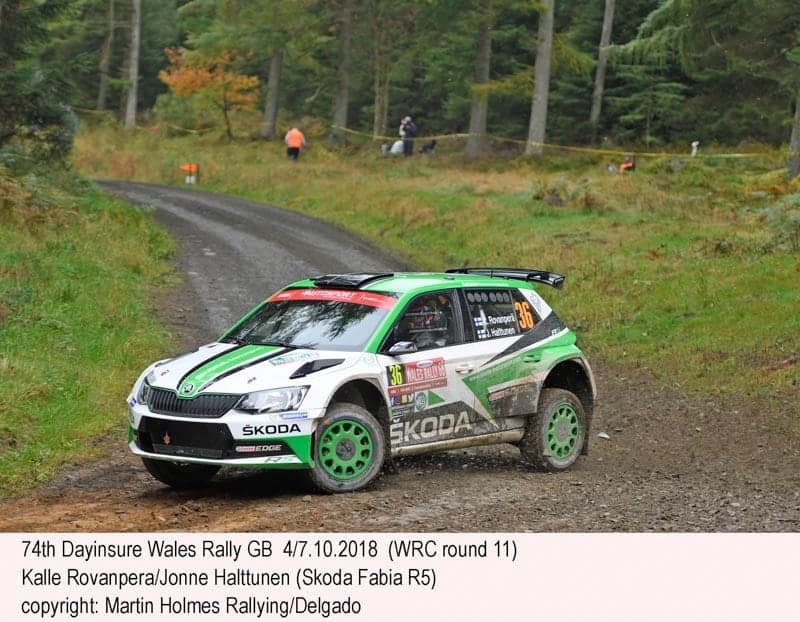 At the end of the first part the British championship was decided in favour of Matt Edwards, who then finished the best of the BRC drivers at the end of the rally. Edwards’ closest rival was David Bogie, who won the first part of the BRC event but retired on the second. In non-championship, MRF driver Gaurav Gill finished 22th overall, best performance in the tyre company’s exploratory project. In the WRC3 category there were only four starters and every driver completed the full route. British driver Tom Williams led all the way in his Fiesta R2 after Taisko Lario led after the opening super special. In the Manufacturers’ series Toyota is now 20 points ahead of Hyundai. 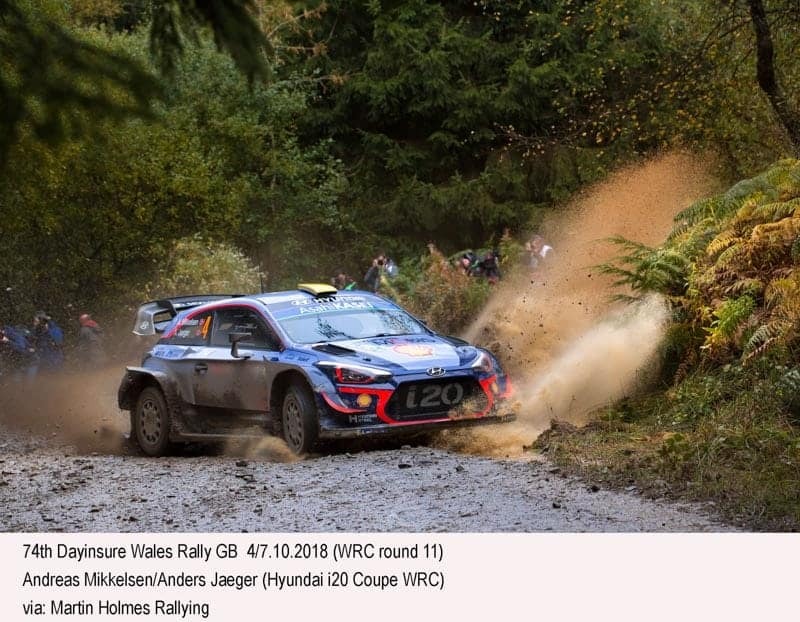 In the Drivers’ standings the battle remained between Neuville, whose championship lead had been reduced to 7 points, from Ogier with Tanak 14 behind. In WRC2 Jan Kopecky has a 14 point lead over teammate Pontus Tidemand, still with two events in hand. In WRC3 Emil Bergkvist leads Taisko Lario by three points.